The use of typical printed ECGs can often lead to redundant work steps, transcription and other human errors, loss of data, and general waste of precious time. 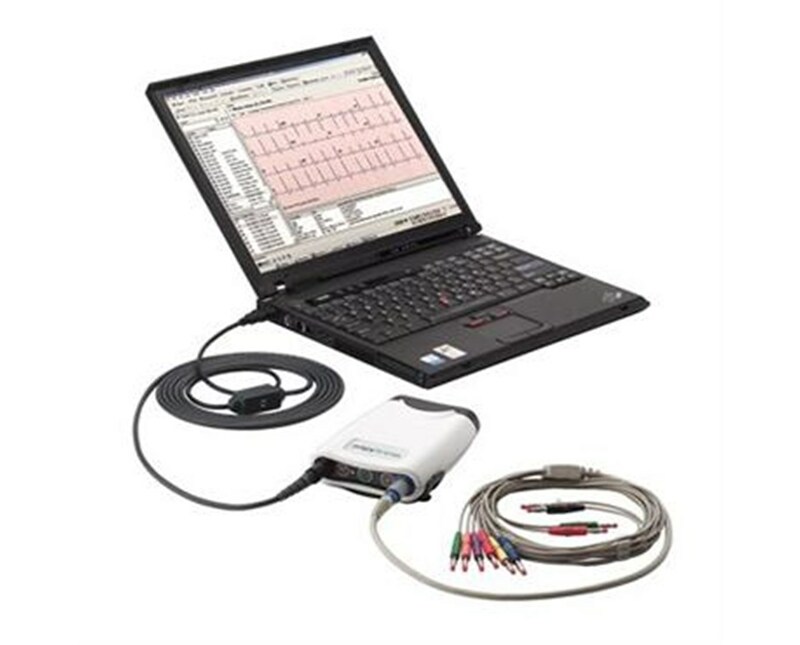 Welch Allyn’s PC-Based Resting ECG, part of the CardioPerfect™ Workstation suite, allows users to automatically transfer patient information and test data into most EHRs, resulting in clinicians spending less time documenting and more time with patients. The monitor eliminates the need for manual data entry, copying, scanning and shredding ECG reports, improves accuracy of ECG tests, allows for immediate access to patient diagnostic information, and increases the efficiency of every healthcare setting. As part of the CardioPerfect™ Workstation bundle, it is fully compatible with other CardioPerfect™ Workstation equipment, making it completely modular and upgradeable with stress, spirometry, and ABPM modules at any time. 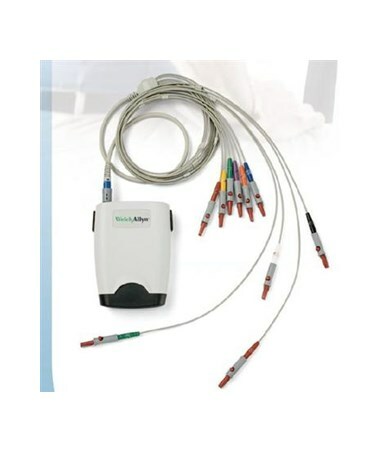 The lightweight, handheld acquisition module connects to all electrodes and the PC (see below for system requirements). It is powered by a rechargeable battery pack (with charger cable) and includes a convenient belt clip to keep in securely in place during use. Its lead wires connect to sanitary disposable electrodes (included) with banana electrode adapters (included). 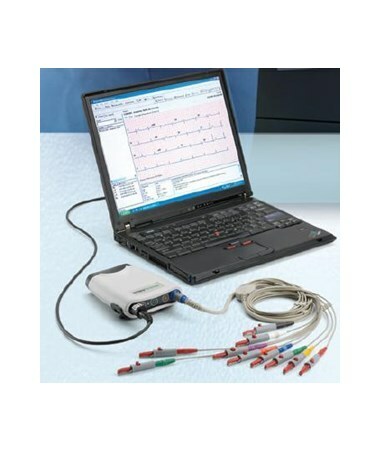 The ECG takes automatic readings for immediate review and interpretation. Before recording, one may select from different chart speeds, different sensitivies, and three different trace views: 1x12, 2x6, and 4x3. One may choose to record a regular ECG, rhythm ECG, or pretriggered ECG, a shortened test designed to catch a specific event. Reports display in real time on any PC, allowing the physician to preview live reports on screen before printing and interpret and edit reports for patients as young as one day. The ECG also features PerfectLink™ technology, a virtual channel SW that optimizes thin client networks. Several warning indicators alert users to potential problems or interferences. The software displays a symbol when it detects pacemaker pulse spikes, and a signal quality indicator shows which specific lead requires attention, replacing, or adjusting. Filters, including a muscle noise filter, AC interference filter, baseline filter, and anti-aliasing ensure that the reading is accurate and easily readable. 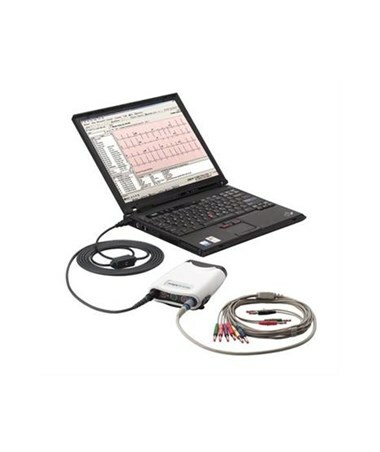 The PC-Based Resting ECG turns any PC into a full-featured ECG with the added benefits of analytical software. The CardioPerfect™ Workstation Software manages data from all of Welch Allyn's cardiopulmonary equipment in the same way for storage of all patient information in the same record. This makes retrieval and analysis of the information quick and easy, allowing clinicians and their staff to interact more efficiently with patients. The software allows users to easily monitor trends and changes in patient history and retrieve previous records with the touch of a key; no more digging through paper files looking for the right information. It overlays measurements with previous ECGs, making it incredibly simple to spot differences and eliminating the need for repeat ECGs. This improves the speed and accuracy of specific condition management, such as intermittent arrhythmias, for every patient. The CardioPerfect™ Workstation software is EHR-friendly; no printing or scanning, as data is already in the chart. Fax urgent referrals in no time directly from the system; the database stores thousands of test records. This eliminates the need to sort through lengthy paper reports or interpret hard-to-read faxed copies of test results, and makes information accessible virtually anywhere with access to a secure network. Once a measurement is complete, it may be printed via the PC and printer of the user's choice. 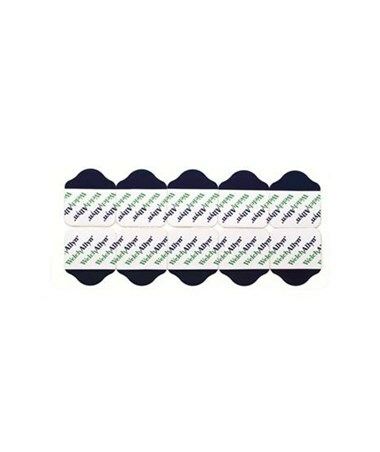 This eliminates the priciness and fading common in thermal paper. The physician may preview and format the report according to his or her preference before printing. Optional MEANS ECG interpretation software is available for both adults and pediatric patients. Use on-screen report editor to change or add a diagnosis in seconds, or select from preset menus customized to your needs, for simplified review and editing of diagnostic tests. The interpretation software acts as a "second opinion" in ECG tests. To order the ECG with or without interpretation software, simply select your preference from the drop-down menu in the upper right corner of this page, then click "add to cart" for hassle-free, low-cost purchasing.